Book Review: Over years of writing on public policy the most frequent question from readers is, “What can we do?” One answer in a personal way is found in the new book MicroSecession by Tulsa author Jonathan Bartlett. It speaks to how the individual can add value regardless of what the economy or the government does. A family answer as Washington becomes more oblivious. 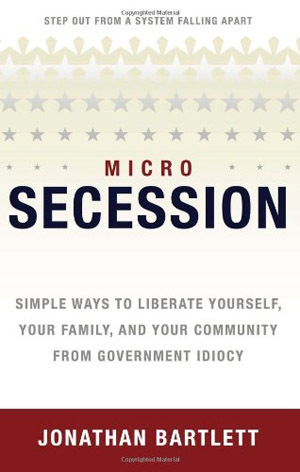 MicroSecession, as the jacket notes, “isn’t about getting rich, overthrowing the government, or abandoning civilization.” The work focuses on practical ideas for increasing personal value on the ground and, in some cases, from the ground up “giving yourself independence by decreasing your dependence” as Bartlett writes. The first section of three chapters speaks of general economics and some on the “idiocy of government.” An economist and former tax compliance officer who reviewed that section suggests it is one of the most clear and accurate descriptions of economy he has ever read. For example, MicroSuccession highlights how everything you spend is with “after tax dollars,” thus your effort in working is generally required to be 33 percent greater (depending on your tax bracket). Bartlett also covers in a personal conversational way the decision to be a one-income rather than a two-income family. From the expected salary then after taxes then after child care then after additional transportation, clothing etc, is that extra salary really worth it? Each family must decide for themselves, but Bartlett outlines in depth the debate. Do you plant a garden? Besides the obvious advantage of higher quality vegetables, a garden can help teach responsibility and patience to children – good to learn when young. Now back to the chicken coop. 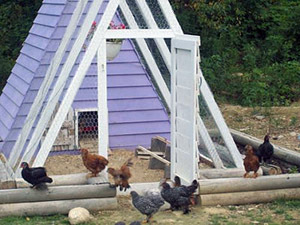 In most cities, you can keep a small number of chickens in your back yard. They make less mess and noise than a dog. They eat bugs you don’t want. They are easy to care for and care is relatively inexpensive. They can be entertaining and they produce food people eat on a regular basis. It’s good – a little work, but value added. Bartlett writes about self-sufficiency in nature. If you get hungry on a walk or bicycle ride, what about a wild onion growing in God’s green earth? Did you know dandelions make delicious tea? 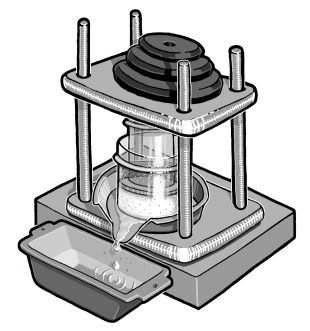 Reading MicroSecession, one family decided they would learn how to press cheese. The book didn’t point to that particular craft, but the larger message of MicroSecession is to encourage us to review daily activities, interests, and hobbies to find additional values. Find free money – it’s easy, just save some. MicroSecession does not advise on trust funds, off-shore accounts or various bonds – there are many books that guide those with excess assets. MicroSecession offers projects and perspectives for individual families to save precious “after tax dollars” with modest investments of $10, $20, or $100 – pocket change. The topic is gaining popularity. National talk show host, Joe Cristiano with Liberty Talk Radio has featured Bartlett on twice. 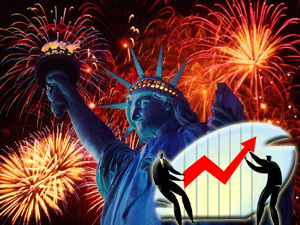 Media note – this is personal economics increasing numbers consider. Better still, click here to order MicroSucession from Amazon.com. This entry was posted in Business, Local on July 31, 2013 by admin.